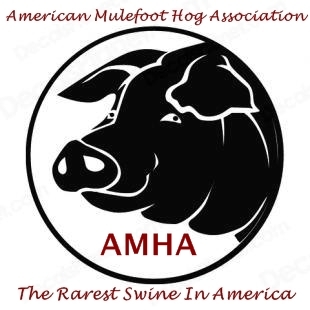 Mulefoot pigs are a rare and hardy American swine breed. They are typically black and on rare occasions they have white markings. They generally reach 400 to 600 pounds (180 to 270 kg), with males averaging 550 pounds (250 kg) and females 450 pounds (200 kg). Mulefoot pigs thrive when raised on pastures (as opposed to in confined feed lots) and they retained the ability to forage for food. 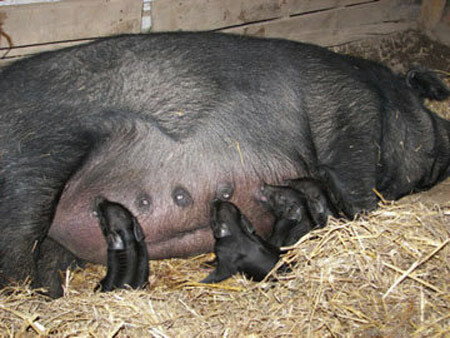 The sows are known as good mothers, having litters that average 5 to 6 piglets.